Bassman Spinnerbaits have been with Carl since he was just 16 years old, we could see the talent, passion and determination way back then. 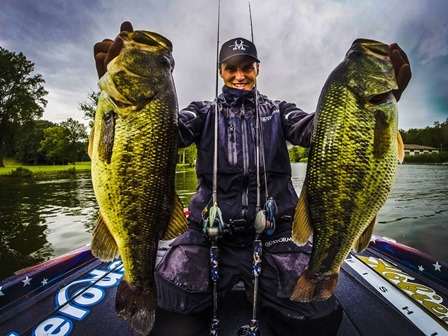 So when Carl became the first Australian Angler to make the Bassmaster Elites we were thrilled. It’s been a very tough 4 years for Carl with as many lows as there were highs. 2015 will see Carl compete against the very best in the world. Carl’s aims now include chasing Rookie of the Year, Angler of the Year and the ultimate dream to compete at the Bassmaster Classic. Carl has been a great ambassador for Bassman and Australian Fishing. We look forward to seeing him chase his dream.